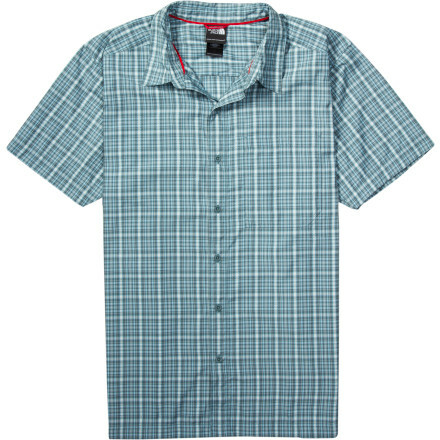 A comfortable, lightweight shirt with a collar that does what a collar is meant to do. Sizing is off. They run larger than most other brands. Bright red interior piping just doesn't make sense. I didn't do a bunch of research before purchasing this shirt. I simply saw it, tried it on, and really liked it. I knew something was different in terms of the fit of this shirt than others I owned, but I couldn't put my finger on it. After getting home, I looked online and realized it has what they call, "rotated shoulder seams," which for me, translates to, fits better in the shoulders than other shirts I own. It has a tighter fit around my shoulders, but still allows my arms to move freely. I was a little worried this would restrict movement with a pack on, but the opposite is actually true. While carrying a pack (22L or 65L) the shirt stays in place, doesn't bunch and never rubs the seams into my shoulders. 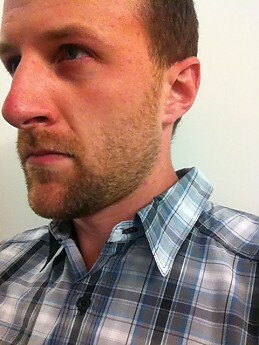 It also has a nice, practical collar, which I noticed right away, but more on that later. 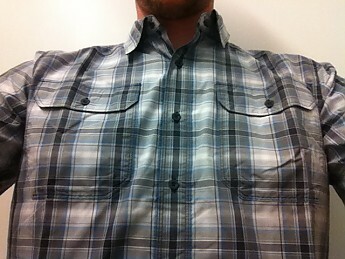 The shirt isn't the most breathable shirt on the market, nor even in my closet for that matter, but it does a fine job. 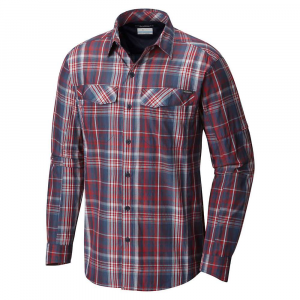 It's 59% nylon and 41% polyester, which means it is quick-drying and lightweight. 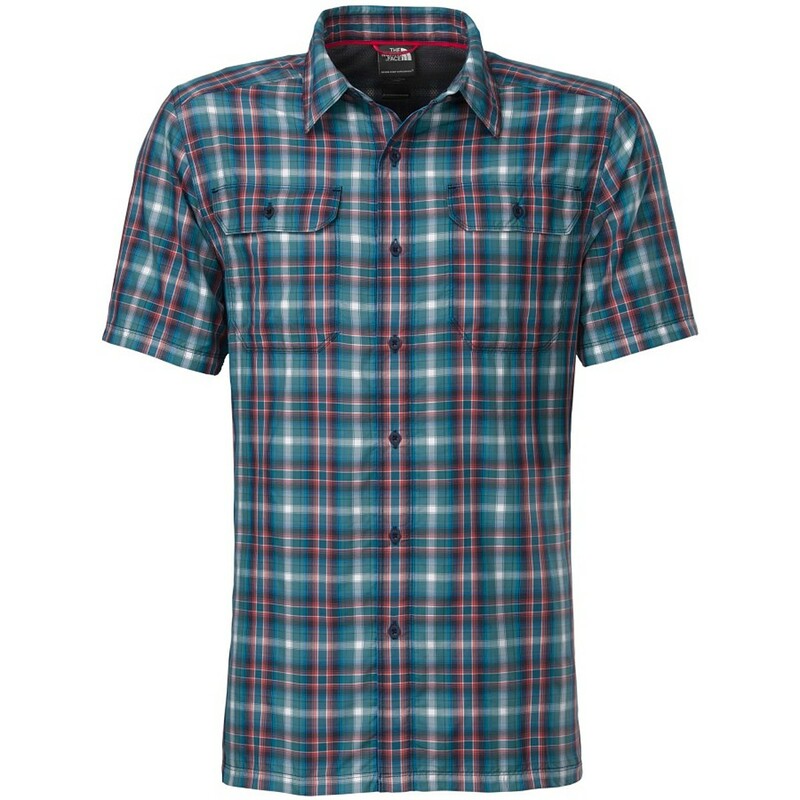 It has a mesh liner on the top third of the back, which adds to comfort and breathability. The upper third of the back has a mesh lining. You can also notice in the top-right corner, they did the interior piping in bright red. This makes no sense to me, but you never see it anyways. Each feature on this shirt is functional. The buttons are thick plastic ones, which, from my experience, hold up pretty well and aren't prone to loosening. This may have more to do with the company's thread, tightness, etc. than it does the actual button. Needless to say, the buttons are great, including those on the double chest pockets. I have no idea why, but I like the look and feel of double chest pockets. There is also a small loop on the interior near the tag for hanging the shirt on a hook. There's just something about double chest pockets that I like. I never use both pockets, but I still like knowing I could if I ever needed to. BTW, this color is High Rise Grey. 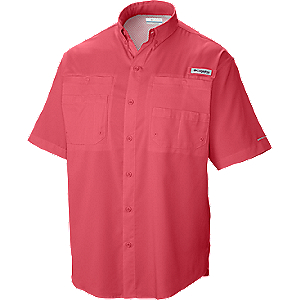 With UPF-50, this shirt is made to protect from the sun the best a short sleeve shirt can. It also has the aforementioned sun collar stand, which means if you want to pop the collar to protect your neck from the sun or wind, it will actually stay popped. The fabric is reinforced around the collar so even when not popped, the collar stays fairly rigid and never gets saggy, unlike other collared shirts I own. The collar, or as TNF calls it, the sun collar stand, is great when needing to block the sun or wind. Because of my long torso (6'3"), I always wear a size Large T-shirt, and typically the same in collared shirts. They are always slightly baggy, but Mediums are almost never long enough. 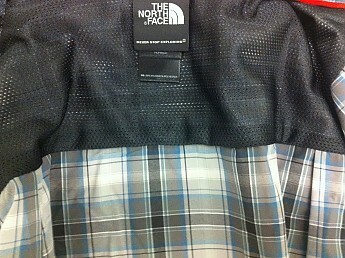 This shirt, and others I own from TNF best fit as a Medium. I have a pair of TNF shorts too that are a size smaller than I'd normally wear but they fit great. I'd advise going one size smaller than normal with TNF apparel. I've owned this shirt a little less than a year and have worn it during outdoor activities including day hikes in the high humidity, fishing, and leisurely bike rides. Because it's collared, I've also worn it as a casual work shirt. 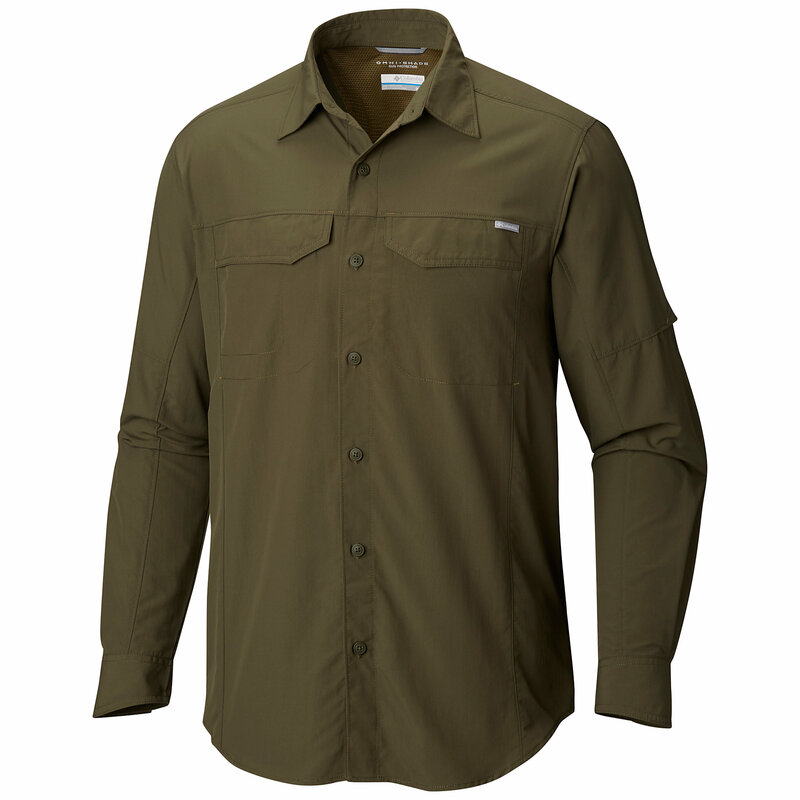 For the sake of this review, I tested this shirt while carrying a fully loaded 65L pack while doing a short 1 mile hike, but have never actually taken the shirt on an overnight trip with the pack. 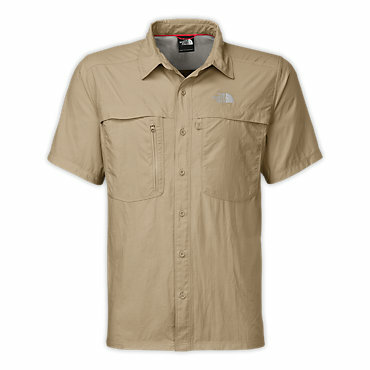 I have worn the shirt on numerous occasions and an estimated 25-30 miles with my 22L daypack on. In short, this shirt feels great with a pack on and without one on. Nice review, Kiwi! Thanks for sharing it. Great review, nice looking shirt. 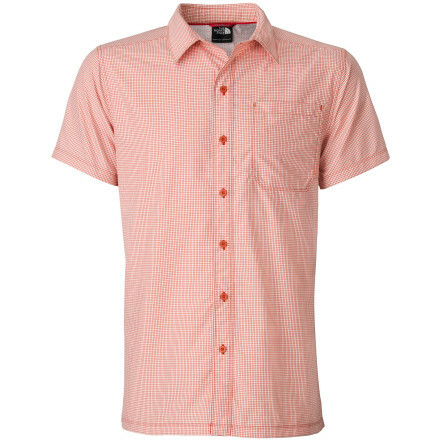 The North Face Short-Sleeve Pine Knot Woven is not available from the stores we monitor. It was last seen April 12, 2017	at Rocky Mountain Trail.